The State of Nayarit received the “Spirit of Excellence Award” at the FITUR International Tourism Fair for the Centro Calidad Nayarita, located in Cruz De Huanacaxtle in the Riviera Nayarit. 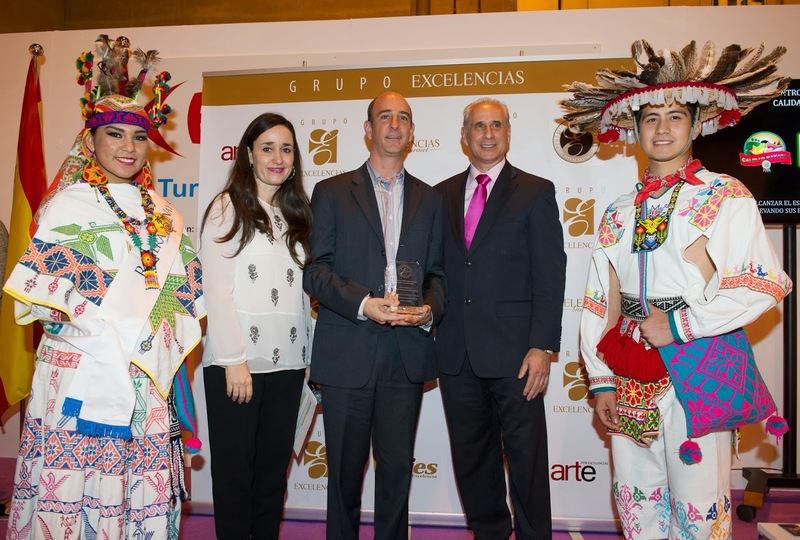 The delegation from Nayarit that assisted the FITUR International Tourism Fair received the “Spirit of Excellence 2013” award in recognition of its Centro de Calidad Nayarita (CCN) located in Cruz de Huanacaxtle in the Riviera Nayarit. The award was handed out on January 22nd during the inauguration ceremonies at FITUR in Madrid, Spain, and was received by the CEO of the Convention & Visitors Bureau of Riviera Nayarit, in representation of Roberto Sandoval Castañeda, Governor of the State of Nayarit. Nayarit has been the recipient of this award for four years in a row. On these four occasions, the awards given to the state were closely linked to the Riviera Nayarit. In 2011 the state won for “Tourism Excellence;” in 2010 for “best promotion of a destination in Mexico;” in 2012 it was given the “Excellence Award” for its celebration of the Tianguis Turístico in Mexico together with Puerto Vallarta; and in 2013 it was once again awarded a prize for the launch of the destination’s complementary brands: Lagunas Encantadas, Sierra de Nayar and Nayarit Colonial. The Grupo Excellencias communications group created the “Excellence Awards” back in 2005 to encourage excellence in different fields, all of them related to culture and tourism. Since then, they have become a touchstone for everyone involved in this important sector and they continue to develop activities with excellence as their goal. The main objective of the CCN is to unite local agricultural products directly with the region’s tourism services; it’s a step forward in the agricultural and tourism initiatives of the State. The CCN ensures the local produce is guaranteed and in excellent condition, plus it confirms the hotels and restaurants in the Riviera Nayarit can obtain their services from farm to table so visitors may enjoy the freshest local products. By the same token, the money that once flowed out to other states now remains in Nayarit, generating additional economic development.